I get asked a lot in person and on Instagram how I manage to find frames that flatter my face. And I'll be honest: It's not always easy. Out of the ten(ish) pairs of glasses stored in my vanity, there are a couple pairs that rarely see the outside world. The shape or size just didn't turn out to be flattering or comfortable. Nowadays, I mostly know what works for my face. It just took some practice and fails. 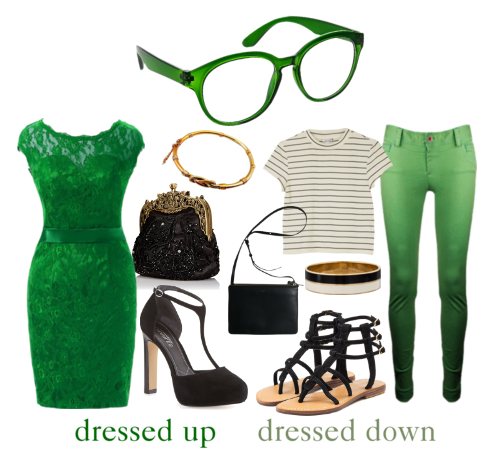 But you can get the perfect pair of glasses without all the guesswork! 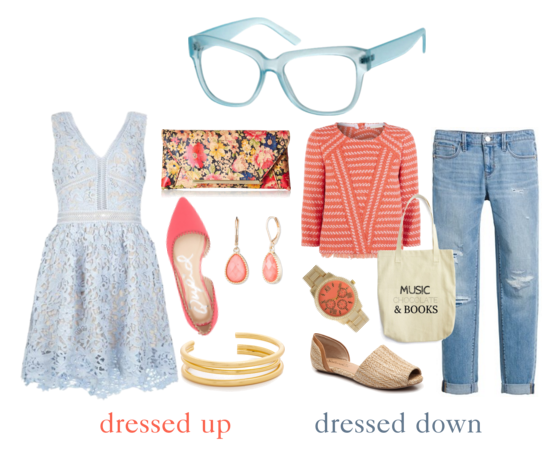 VSP Direct's "Frame Your Fashion" Facebook photo sweepstakes is here to help. Entering is easy. And you can enter weekly! 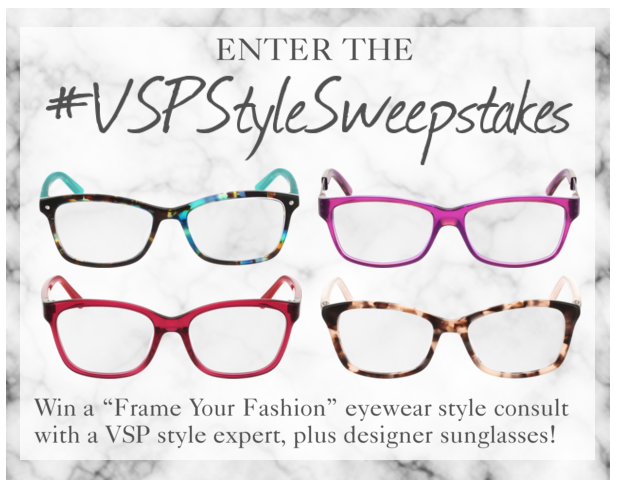 Just share a selfie and your style for a chance to win a "Frame Your Fashion" eyewear style consultation with a VSP style expert, plus designer sunglasses. Every week between March 21 and May 25, one winner will be chosen. Plus, one grand prize winner (selected from among the 10 weekly winners) will also receive one year of VSP Direct vision insurance and a $250 gift card! 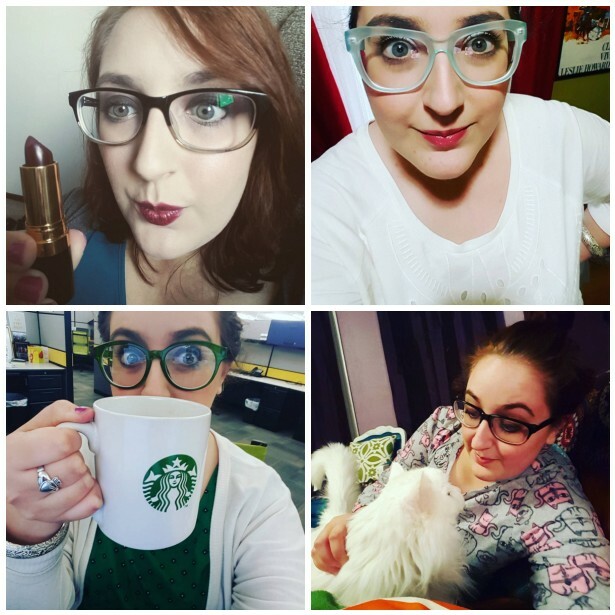 As you start planning your selfie entry and daydream about spending $250 on some fab new frames... I dare you to also think about how you'd glam your glasses up. 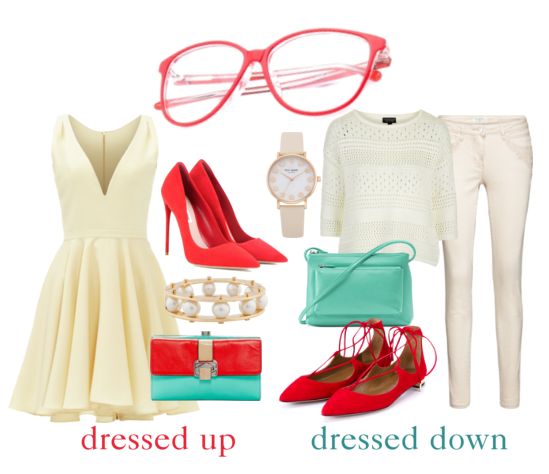 Because glasses enjoy special occasions, too! 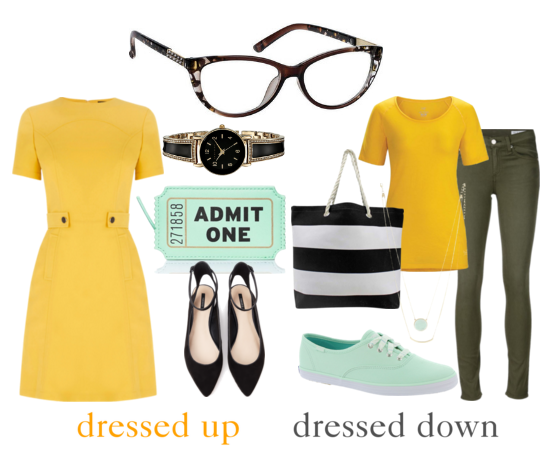 I was swooning over the bespectacled ladies I saw on the Oscars Red Carpet this year. Kate Winslet and Patricia Arquette looked gorgeous and glamorous in their glasses and gown combinations. But the trend isn't just limited to that red carpet event. Rashida Jones, Kara Tointon, Anne Hathaway, and Emily Blunt have all shown up clad in pretty dresses and fabulous frames. 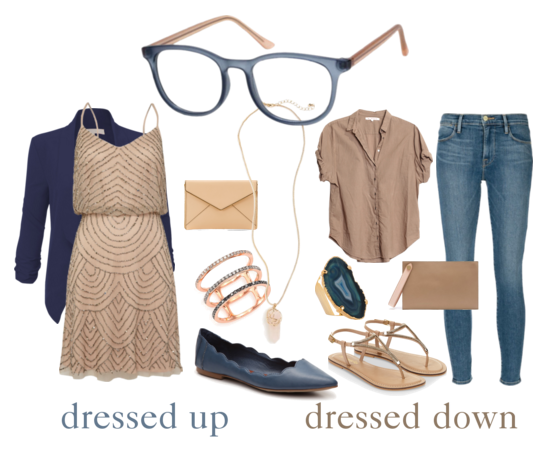 I've picked five of my favorite pairs of glasses and created two ensembles for each pair: one dressed up outfit for a special occasion, and one dressed down outfit for day-to-day life. 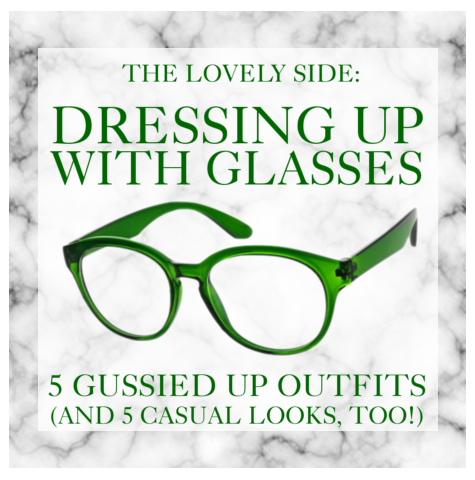 These four gorgeous pairs of glasses are all actual VSP frames! Hy Jess, Many thanks for this Tips.. Love this blog..